Global PC shipments may be on the decline but it’s not for a lack of trying. HP, for example, has just updated several of its product lines in time for the holiday buying season. Here’s everything you need to know. 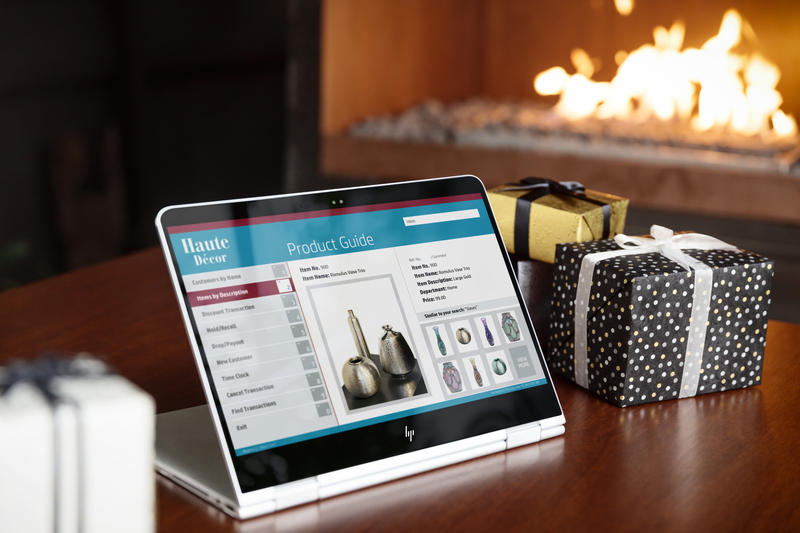 Kicking things off is the second-generation of HP’s popular convertible, the Spectre x360. The updated machine is 13 percent thinner at 13.8mm, 11 percent lighter at 2.85 pounds and looks as good as ever with its near bezel-less 13.3-inch IPS full HD display and brushed aluminum chassis. The convertible is powered by Intel’s seventh-generation Core processors and features Bang & Olufsen audio from four speakers. Other amenities include two USB Type-C ports with Thunderbolt 3 as well as a USB Type-A port and a 57.8 watt-hour battery that HP claims is good for up to 15 hours of runtime. HP’s new Envy 13 laptop, meanwhile, also packs a 13.3-inch display and your choice of seventh-generation Intel Core i5 or i7 processor along with up to 16GB of RAM up to a 1TB solid state drive. Unlike the Spectre x360, the new Envy 13 is slightly thicker and heavier at 14mm and 3.15 pounds, respectively, but it does include a larger battery that’s good for an additional four hours of use, up to 14 hours total, HP says. Using HP’s Fast Charge technology, the laptop can receive a 90 percent charge in 90 minutes. If you’re short on real estate or simply prefer a compact solution, HP’s Envy All-in-One 27 may fit the bill. Unlike most AIOs that bundle the hardware into the display, the Envy AIO 27 crams the guts into its base which also doubles as a soundbar with four speakers tuned by Bang & Olufsen. This approach will also give the system more stability meaning it’s less likely to tip over if you’ve got kids or pets around. It also reduces the thickness of the display by 44 percent, down to just 15mm. Speaking of, the 27-inch panel checks in at 2,560 x 1,440, the ideal resolution for that size in my opinion. The Envy AIO 27 can be configured with either a sixth-generation or seventh-generation Intel Core i5 or i7 processor, up to an Nvidia GTX 950M discrete graphics card and up to a 256GB SSD and 2TB HDD. Last but certainly not least is the HP Envy 27 Display. While it’s styled after the aforementioned Envy AIO 27, its resolution has been bumped up to 4K. Having recently spent some time with a 32-inch, 4K display, I can say with a good bit of confidence that 27 inches is too small for a 4K display running natively. Sure, you can mess with scaling but that sort of defeats the purpose of owning a high-resolution monitor. As for pricing and availability, the Spectre x360 starts at $1,049.99 and is available as of writing. The new HP Envy 13 laptop is scheduled to arrive on October 26 from $849.99 while the Envy AIO 27 can be yours sometime this month starting at $1,299.99. If it’s the Envy 27 Display you want, be prepared to part with $499.99 come December 4.